The month of October is always a lot of fun in my classroom, and I just wanted to share some of our very favourite activities across different subjects. "If you can't beat them, join them" ... so last year I resisted to urge to battle the candy in the classroom rule the day after Halloween ... instead, we put those candy wrappers to good use. 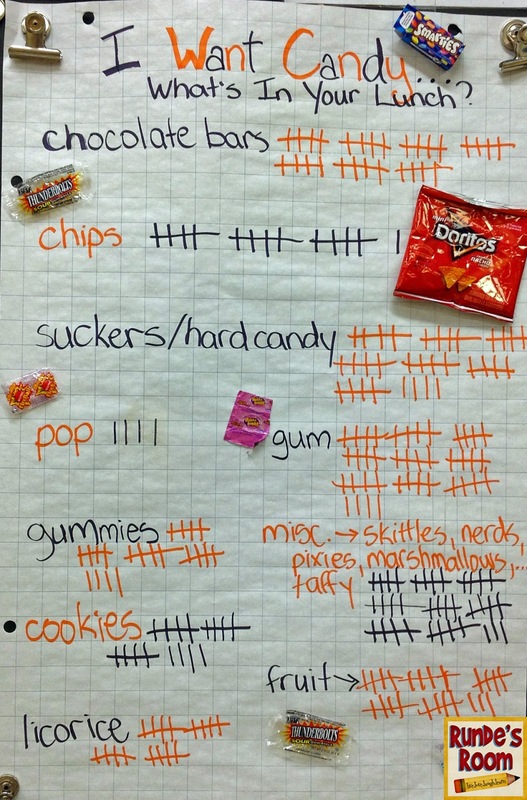 :) I asked students to empty their lunches (and pockets) of all their Halloween treats and we made a tally chart showing all the treats brought to school that day (a little shocking, but made for some great data). 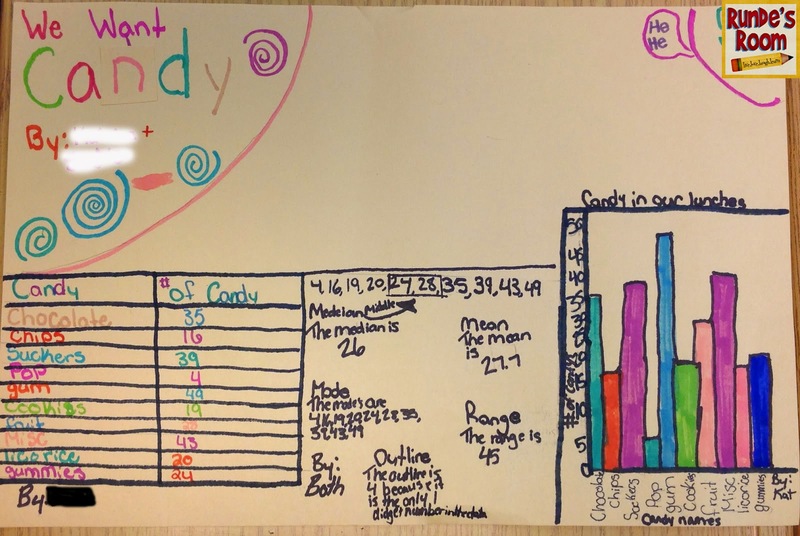 Once we had completed our class tally chart, I let the students work in pairs to represent the data in three way - a chart, a graph of their choice, and show the mean and median. So much fun, and it kept them focused through the sugar rush. These spiderwebs integrate math and visual arts - and are so striking on display. I would definitely recommend them for grades 5 and up. Students practice their multiples while drawing the lines for the web. You can read more about these spiderwebs on a blog post I wrote HERE. (Be sure to follow the link to Teaching with TLC for full instructions). One of my favorite October science activities went perfectly with our Human Body unit. 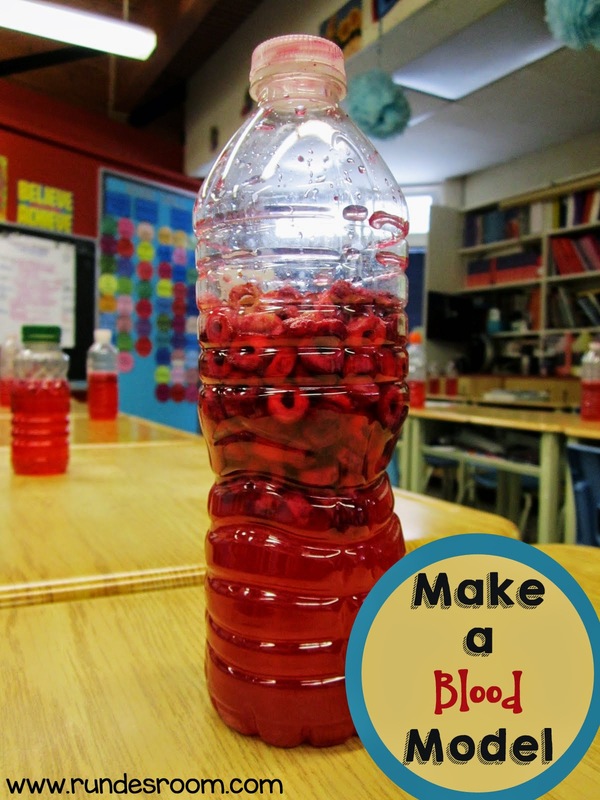 We made our own blood models - and it was a HUGE hit with the students. It was a great hands-on activity that had the class interested and engaged during the whole time. It can be done at any time of the year, but has just the perfect amount of "creepy" to make it perfect for October. You can read more about the blood model and the activities we did to accompany it HERE. This optical illusion art lesson is perfect for October because the final piece resembles a spider web. The activity is low-prep and low-material, making it a great activity for those hectic days in October. Students can even add a little spider at the end for a fun 3D effect. You can preview the art lesson HERE. 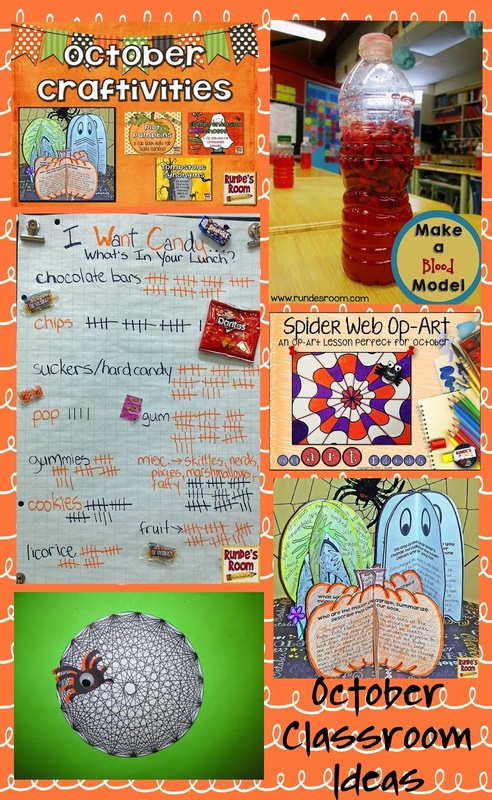 I love how these little October Craftivities look in the classroom - and how they get the students thinking. 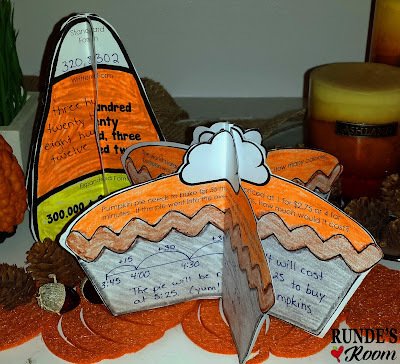 We used the Story Element pumpkins for our Read Aloud (The Worst Best Halloween Ever), the Comprehension Strategy ghosts with the students' independent reading, and the Synonym Gravestones with our writing minilessons. 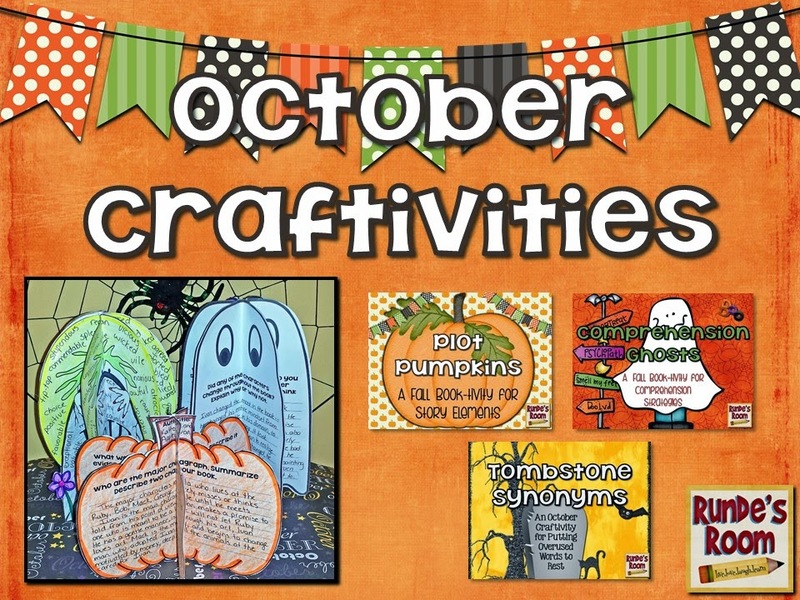 You can take a peek at this bundle of October Literacy Craftivities HERE. 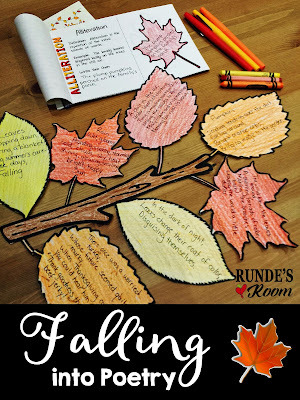 Fall into poetry with this Falling Leaves poetry resource. This resource has your students learning about poetic devices and making their own example for each. They then create 7 different Fall-themed poems (following the guided instructions and examples given). These longer poems can be written on the leaves included in the resource to create both a beautiful poetry booklet as well as a Fall leaf poetry craftivity that will combine the beauty of Fall and the beauty of poetry to make an eye-catching display that you won't want to take down until long after all the leaves have fallen outside. I also have some Halloween-themed Writing Prompts for some fun narrative writing just before Halloween. 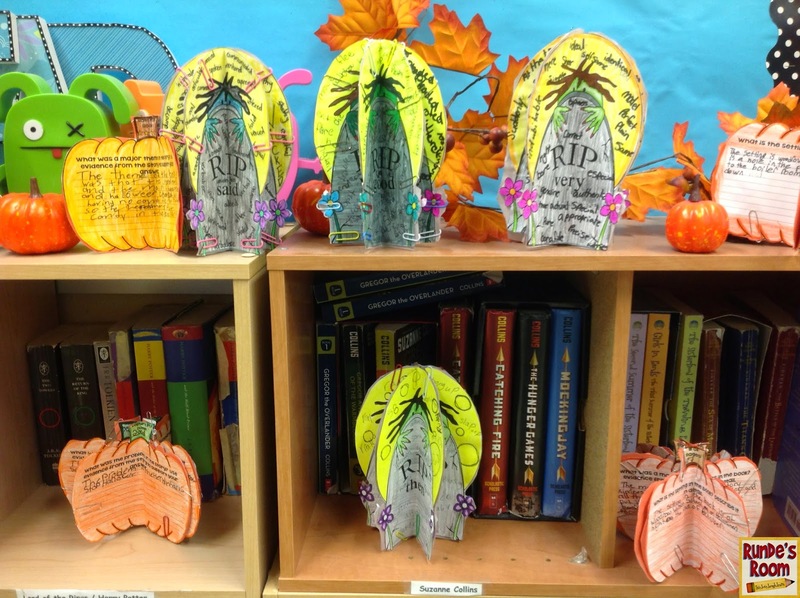 Students love sharing their spooky stories with their peers, and the colorful stationery is perfect for display. You can download these for free HERE. And, last but not least, if you have little ones at home, or cover a younger grade class, or pair up your students with younger students, I have this little page I made for a primary co-worker at my school. You can download it from google docs HERE. What a great collection of ideas for my older students! Thank you so much for sharing. I find it harder to find great ideas for upper elementary students than it is to find ideas for younger kids.